Polished to perfection. 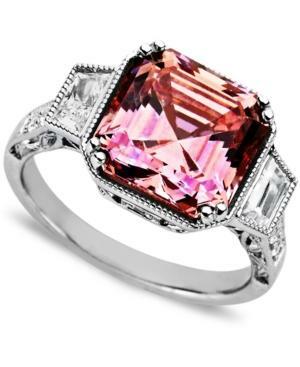 Arabella's stunning statement ring features a princess-cut pink Swarovski zirconia (9-1/4 ct. t.w.) and round-cut clear cubic zirconias (7/8 ct. t.w.). Crafted in sterling silver. Size 7.